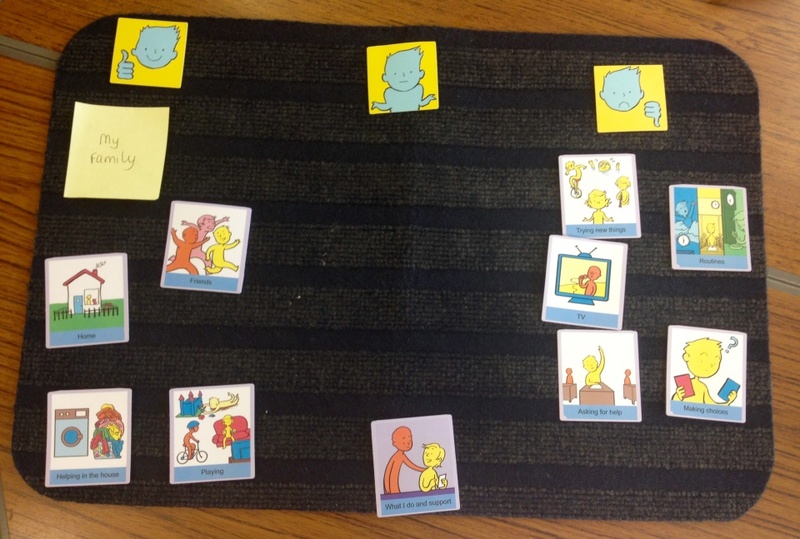 Thanks to Laura Holmes for this blog about the support she gets from Talking Mats for ‘Learning Conversations’ with the children she works with. I use Talking Mats for a variety of purposes in my role as a Speech and Language Therapist (SLT) for NHS Stockport Children’s Therapy Services Team, working with children with speech, language and communication needs (SLCN) in mainstream primary schools. Support for children and young people with SEND should be based on an understanding of their views, wishes and feelings. Wherever possible, children, young people and their parents should participate in decision making, and should be supported to participate. One of the main advantages of the Talking Mats approach is that it has enabled me to have ‘learning conversations’ with some of the children I work with. 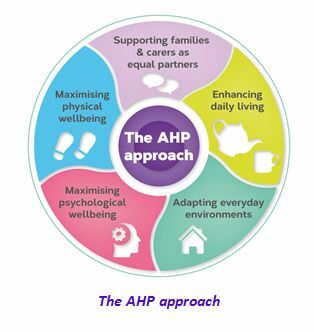 These learning conversations support children to participate meaningfully in decision-making in terms of setting SLT targets based on their views, wishes and feelings, which are then incorporated/ linked into their SEN/ Education, Health and Care Plans. Using the Talking Mats approach as a basis for this learning conversation enabled me to learn about B’s views and feelings regarding the things he does and the support he currently receives. This approach also provided me with a deeper understanding of how he felt about these skills, as he was noticeably more communicative when we had the mat to focus on rather than answering direct questions. At the end of the session we discussed what B would like to work on in particular. B shared that he wanted to work on asking for help, and making choices. These two targets were then set in his updated therapy plan, which also included recommendations in terms of supporting B to follow routines in school, for example through increasing use of visual supports and strategies, and also in terms of providing opportunities for B to try new things in school with an appropriate level of support and guidance. It will be useful to carry out follow-up learning conversations using sub-mats – for example, submatting ‘routines’ (once the recommended supports and strategies are in place) using the topline question ‘what helps/not sure/ what does not help’, will enable B to share what he feels works best for him. Using the Talking Mats approach has often taken a child’s therapy ‘journey’ down unexpected paths as the mats have sometimes revealed areas of difficulty and/or challenges for that child which were not previously apparent or identified. These areas would not have been targeted otherwise, indicating the power of Talking Mats to empower and enable the children I work with to participate in their own therapy planning. This entry was posted in Blog on May 23, 2018 by Joan Murphy.